The difference is perfection. It’s a difference you can see. How do you recognise perfection? Like love at first sight, sometimes you just know it when you see it. 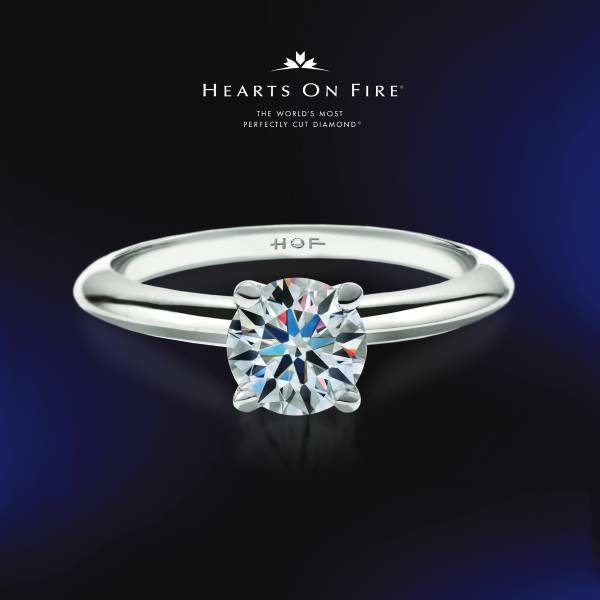 Hearts On Fire captures that intensity and presents it in a diamond like no other, for the person like no other. We start with only the rarest diamond crystals, selected from less than 1% of the world’s gem quality rough diamonds and chosen from conflict-free sources that are fully compliant with all international trade laws and agreements. The quality and integrity of Hearts On Fire diamonds make them the perfect expression of the intensity of your feelings. The best diamonds in the world deserve to be crafted by the best hands. Artisans whose talents and skills meet Hearts On Fire’s exacting standards are as rare as the diamonds themselves. Fewer than 400 master cutters are qualified to create a hearts on fire diamond – which requires four times longer to cut and polish than a traditional round brilliant. while most manufacturers use a 10x magnification process, hearts on fire artisans craft our diamonds at 100x magnification. That’s 10 times the global industry standard. Of the 4c’s – cut, clarity, colour and carat weight – cut is the only characteristic under man’s control. It is also the most important attribute in revealing the diamond’s most intense beauty. When a diamond is perfectly cut, a natural phenomenon of light magically appears. this scintillation creates a ring of flawlessly matched hearts when viewed from the bottom, and a brilliant, eight-pointed fireburst that can be seen across the crown, hence our rather unique name.